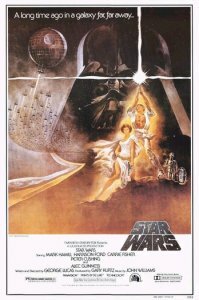 Star Wars: Episode IV New Hope (1977) – I did not see this movie when it was first released, but I feel in love with it before it was redux. But, I did enjoy having the opportunity to see it in a movie theater upon its re-release in 1997. Thanks so much Mr. Lucas. It was just innovative. That is what I loved about it. It was a cool story and had unlimited possibilities and the underdogs won. This was the beginning of a life long love of any and all things Star Wars. Best Movie Quote: “May the force be with you.” – That’s to easy. We Go Together – Grease Movie Soundtrack (1978) – It is the first album I ever got and I played this song over and over again. I still know all the world to it. “Who put the bop in the bop shi bop shi bop? Who put the ram in the rama lama ding dong?” – Classic lyrics right there. 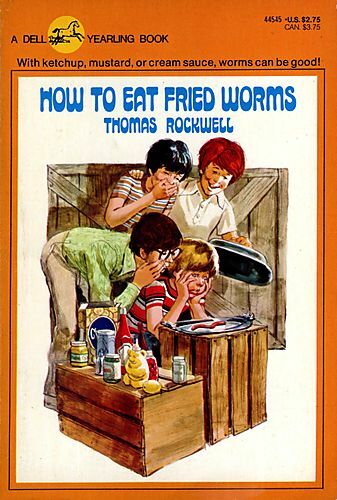 How to Eat Fried Worms (1973) – It was original published in 1973 by Thomas Rockwell. Has been reprint several times since then and been turned into a movie. It is a story about a 10 year old named Billy who made a bet with a neighborhood bully. He had to eat 15 worms in 15 days. If he was able to complete this feat, he would win the admiration of his peers and money to buy a brand new bike. Every year, my elementary school would have a book fair and I was able to buy 20 books at time. It was my favorite day of the year. I got this book at one of those book fairs and have read it at least once a year since. My mom – And, not just because it’s Mother’s Day. My mom is a great lady and she taught me how to love life and be grateful for all my blessings. I can’t wait to read other people’s first. Thanks to Alex Cavannaugh for a making my Monday better. Wow, all of these things are bringing me back to childhood. I remember that book! I know. It was a great book. I know. I have been singing Grease tunes all day! You should see the Star Wars movies. If for no other reason, there are so many Star Wars references in our culture (writer/blogger culture). It is fun to be able to recognize them. They are great stories. Boy meets girl, they fall in love and then he turns into evil, she dies and then their son has daddy issues. Let me know if you ever watch it. Stockard Channing was always my favourite in Grease – loved her song ‘There are worse things I could do’. Yeah. She was good. I can still sing that whole soundtrack. i had to reach way back for these first loves. Fun exercise. Thanks for stopping by, Jeremy. Jemi, glad you liked my choices. I was wondering if others realized Fried Worms was a book first. I just loved it. Always a pleasure to meet another Star Wars fan! Hi Allison. Star Wars started my love of movies. Nice to meet you, too. Haha. Yeah. Mom’s is the best. I kinda dug grease myself. Star Wars almost made my list! Sure I’ve read the worms book but I don’t remember it. Thanks for hosting. It was so much fun. I wonder how many had Star Wars on their list. 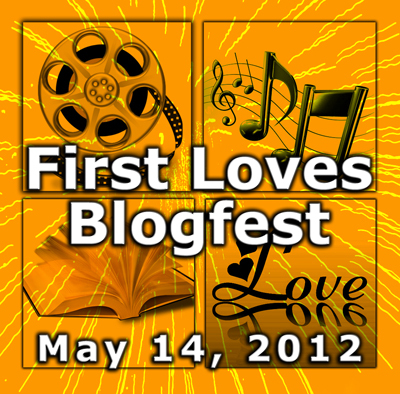 I counted at least 6 from the blogs I looked at. Great choices. I love the fact that you put your mom as your first love. It was either her or Keanu Reeves. haha. Since seeing your post is what inspired me to do a first loves post of my own, I feel I owe you thanks. It helped that you had such a great list. Star wars was almost my first movie love. I certainly watched it enough as a kid! And the music from Grease, while I didn’t find it until later, is still awesome. Way awesome. Thanks. Happy to inspire, Morgan. There was so many I saw on other peoples blogs that I forgot about. Princess Bride is in my top five of first loves for sure. Great writing and the amazing Mandy Patinkin as Indigo. HAHA. How to Eat Fried Worms! Thanks for reminding me of this great book. I think it deserves a reread! Definitely. Even 15 years later, it still cracks me up. Thanks for stopping by Barbara. I checked yours out, too. Sweet Valley Twins book. I totally forgot about those books. I read them all. Good choice.